This is the biggest case of not news-news that I have seen in a while, I’m sick of it and I’ll be quick. 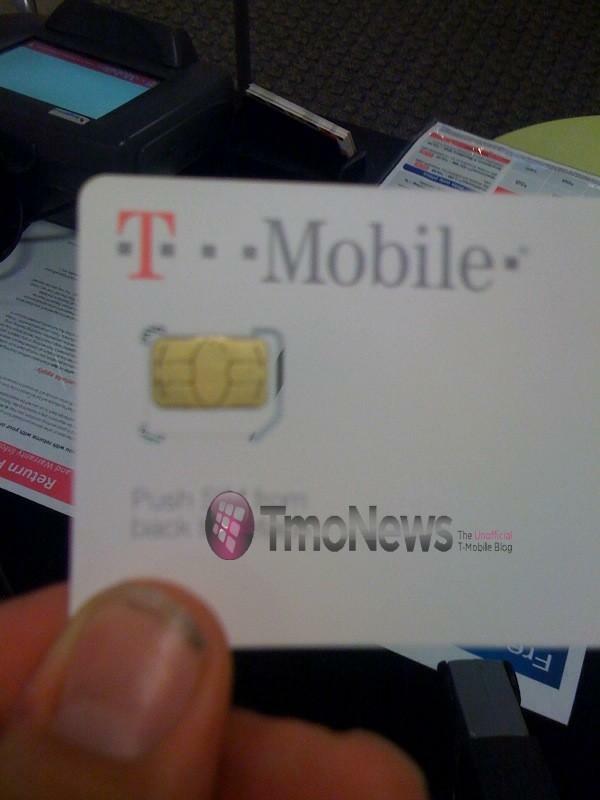 Micro Sim Cards at T-Mobile, nothing new to see here. Use them in your iPhone, there’s a million of them on T-Mobile. DONE. People still do this? Why? I thought all first comments were going to be deleted because we don’t like people acting like adolescents here. Yes… you are first. The first mor-on to post today. LOL… I was not the only one who noticed that. Gross, eh. They are actually free on the T-Mobile web site if you are a customer. Like the Nokia N9???? YOu know Nokia has a Magenta one. I know thats the phone and Color I’ll be supporting in the near future. And buddy let me tell you, I think there’s a little song that explains my feelings about this news and about the Nokia N9 and it goes a lil somethin like dis: “I’M SO EXCITED, AND I JUST CANT HIDE IT!!!”!!! You may have broken the story first but this is the first time T-Mobile actually is accepting the fact they do now sell micro sims b/c i tried several times the last few months looking to buy a micro sim from T-Mobile and I got the same response from customer service reps and store managers every time “Sorry T-Mobile doesn’t carry micro-sims at this time” So it is somewhat news worthy. They have already been online for a few weeks. This may be true but my point is still valid, before today we haven’t heard anything come out from the source (T-mobile) about selling micro sims, now I won’t get weird looks and confusion when I call or go into the store and ask about them lol. TMoNews did not break the story first. This was written about over the past few months, elsewhere. What! This is news! Kind of… Well can you put this sim card in any AT&T phone and not just the iPhone? The only ATT phone that uses micro simcards are the iPhone. All others are the regular size. The only phone on at&t that uses a micro sim is the at&t iPhone 4. Unless you get an adapter. Then yes you can. If only I would have waited 2 more weeks to get my iPhone 4… Went through 2 sim cards while trying to cut it right. It’s about time T-mobile. dirty finger nails. cool micro sim. we still dont have them at work yet. A customer told us about them and we didnt believe him. i wish apple wouldnt be cool and use micro sims. Care has them for customers. You posted about this a long time ago, why the “news” again? Some forward thinking Tmo storeshave independently purchased cutting devices make regular sims into micros. Makes it easy to activate the i4, though why anyone wants to use a 2g iPhone is beyond me. Interesting that most folks still hadn’t ever seen one and that the first article didn’t have any official link. They are now available on t-mo’s web site: http://www.t-mobile.com/shop/phones/?shape=simalone . This is the first time there has been a micro sim on their website – so yes – that is news worthy – even though you think it is not. If you post enough rumors, they are bound to come true. that dude has dirty fingernails!! Dangit – I was seriously completely unaware of this. Thanks for posting again!!! I have a Sensation that I love but I am contemplating getting a iphone4 as well. Can you buy them without a contract? I was told NO (which seems silly). And this was after they denied actually having them. Sick of what? It has only just begun. In the latest batch of training materials for the new Value Plans, one page shows a bunch of touch screen icons. One of them….the iPhone weather icon. Would love to see that iPhone weather icon in the training materials. Accidentally snap a pic with your mobile, then email it to David. Maybe he’ll do a post on it. first off, i didn’t know that t-mo news was supposed to be hand models also. maybe if David kicked up the budget they could hire one of you losers to be there hand model. secondly, who wants to buy an iPhone 4 with all this new tech coming. you can never tell me the I4 is better than SGSII or equivalent phones. i can understand if you were looking for the Iphone5 or something, but I4? c’mon that shouldn’t even be on your radar unless your an average Joe, but then you probably wouldn’t be on this site. When mytouch 4g came out i ordered it 4 days after it came out and it came with a new micro sim card so trust it isnt new at all that was months ago… Haha ppl are funny..
HECKS YESHISH!!! NOW I DON’T HAVE TO GET MINE CUT!!! NO CUT FOR ME, NOT CUT FOR ME, BUY ME A MICROSIM, AND LIVE HAPPY!!! HAPPY HAPPY JOY JOY, HAPPY HAPPY JOY JOY, HAPPY HAPPY JOY JOY, HAPPY HAPPY JOY JOY!!! NOKIA N9, HERE I COME!!! AND WITH AN OFFICIAL MICRO-SIM CARD!!! YEEESSSSS!!! GYbabu: Thanks for the link. Andrew: This would be a good link to post in the article. Proof in the pudding. We don’t have them in our store. Now people gonna get an iPhone 4, run it on 2G and pray for WiFi when they get it unlock. Just get an iTouch, I don’t see why people want this phone that runs slow on the network. Its the iphone 4, not iphone 4g. people don’t care about having 3G in their unlocked iPhone, all they want is to look “sophisticated” just by having the iphone and showing it but sadly they don’t even know the full specs if u asked them. I just saw a video on YouTube stating all carriers will have the iPhone by the end of the year. Whoever has the finger in the pic may wanna clean your finger nails next time a pic is taken. That’s gross. Just sayin..
WE DO NOT CARRY MICRO SIM CARDS!! !